The bigger picture behind the advantages of a Task management software. Is Task Management so Important? Yes. Here’s Why! A small startup or a medium-sized company is always in a chaotic mode because they have to grow faster. Any business requires leads and reliable customer base to operate. The employees should focus on what matters the most, sending invoices, doing billable work and generating new leads. However, everything that happens internally should be streamlined, communicated promptly to team members and carried out without any kind of human errors. But, that’s not the case because in most companies employees spend a lot of time manually onboarding new employees, entering lead generation data into excel sheets, making phone calls and sending emails back and forth. The majority of small and medium businesses have an assumption that task management software could be expensive and not for SMBs. It’s a common myth because they are not at all expensive and the savings that you make for the cost spent is usually three or five times higher. Besides, they also contribute a major share to guide your company in the right direction in improving efficiency and promoting growth. A task management software is also widely known as a workflow management software which comprises a series of tasks. When successfully completed, a single task or a bunch of tasks will contribute towards the completion of a bigger goal. 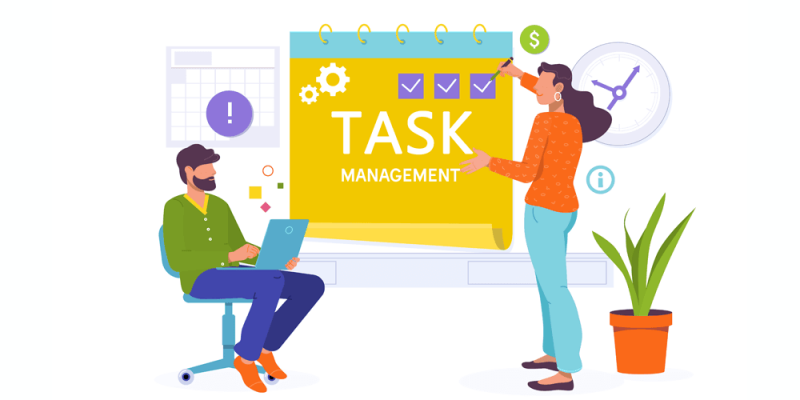 Task management can be referred to any task including generating leads, maintaining a customer database, leave approval, employee onboarding or offboarding and appraisal management. The software will help employees, team leaders and managers raise requests, send notifications and approve or reject requests with a single click. When a new employee joins a company, a lot of tasks should be completed in a matter of one or two days so that they could get to work. A task management software can change the way things run in your office. When it is successfully integrated into your business, you will never have to worry about sending or approving invoices, keeping track of expenses, generating proposals, managing documents, monitoring operational expenses and auditing every year. Apart from all these advantages, a workflow software also allows your employees to easily access all data on their desktop or phone from cloud servers. The timely notifications ensure they no longer have to manually notify their managers for approvals and things like leave approvals which are important from an employee perspective will be much smoother. Cflow is an automated workflow software designed to provide great value for your investment and make it easier to manage every task in your office environment. The no-code software can be used by anyone and it’s easier than ever to create workflows using our software.